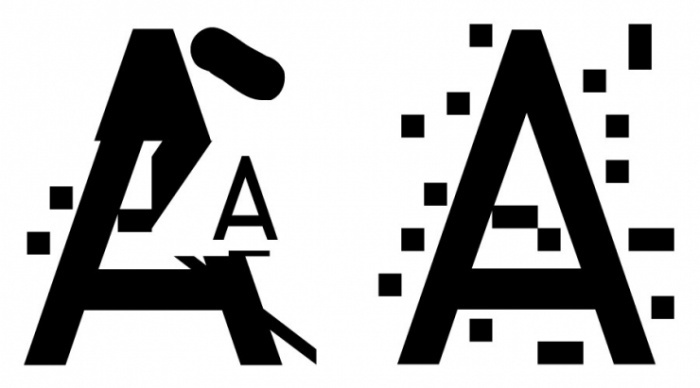 Anti-NSA Typeface Makes Your Messages Hard to Decrypt | OhGizmo! If you thought that some people were just being paranoid when they said that there was always someone listening in on conversations or reading every message being sent, then I guess the whole NSA debacle proved you wrong. Since the news broke, anti-NSA programs and software have been floating around on the interwebs, although I think most of these don’t really work. Sang Mun, a graduate of the Rhode Island School of Design, decided to express what he felt about the whole situation by creating ZXX, a “disruptive typeface” that’s named after the Library of Congress’s “no linguistic content” labeling code. The font is difficult to read, since it looks like a combination of wing dings and randomly capitalized text. Mun has used a creative way to express his thoughts on the NSA scandal. If you agree with his views or just want to use his very unusual font, then you can download it here. It makes it hard for a machine to read when printed, but they don’t read text that way, they read the unicode which is font neutral. Using this font is sure to put you on the NSA’s watch list, wouldn’t you think? This is ignorant and worthless. All you’ll do is change the font definition at the start of the page; the rest of it will still be sent in plaintext and be just as readable.